In need of carpet cleaning? Say goodbye to dingy, ugly, unappealing carpets. If you work in a restaurant, an office space, or have a home with multiple pets or kids, then you’ve seen a dirty carpet before. Over time, the carpet in your conference room, dining room, or family room becomes soiled, stained, and discomforting to look at. Do you want a dirty carpet? At Legacy Carpet, we believe that your home or office space should be a place of relaxation and comfort. You should take pride in your living space or work space, and it should never distract you from your daily routine. When you invest in carpet cleaning in Pleasanton with Legacy Carpet, you’re investing in your home – and your peace of mind. We’ll help you make your home into the safe haven of comfort that it should always be. Kick spots and stains where it hurts and never worry about seeing them reappear. Not while Legacy Carpet is around. Got a Carpet? We Can Clean It! Whether your carpet is old, new, long, or short, we can remove the toughest spots, stains, and odors. Pet stains, markers, crayons, food residue, and more – these are no match for our stain-busting chemicals and steam cleaners. As a commercial business in Pleasanton, it’s important that you present your best image to potential clients and employees. An office space that is well-maintained will boost worker productivity and help you snag future clients. 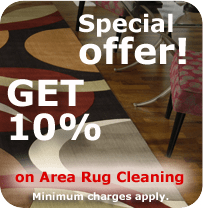 Invest in carpet cleaning in Pleasanton today – you won’t regret it. We can clean your upholstery and leave it looking just like new again. Rejuvenate your home or business space by investing in professional upholstery cleaning in Pleasanton today. We’ll quickly bring your curtains, couches, chairs, loveseats. pillows, or bed back to life again. We can remove pet odors, stains, and general dirt and grime from your furniture items. This will add a welcoming, relaxing, and comfortable atmosphere to your home that before looked dingy and grimy. Do you want your upholstery to last longer and stay beautiful? Then invest in regular upholstery cleaning in Pleasanton. We’ll improve the looks, feel, and longevity of your furniture today. If you own a home in Pleasanton, but want to recommend us to your friends and family elsewhere in the Tri-Valley, go ahead! Or, if you own a business with multiple Bay Area locations, allow Legacy Carpet to handle all of your carpet cleaning needs. We are always looking to take on new clients in the Bay Area. In need of carpet cleaning in Pleasanton and beyond? Look no further, and don’t wait another minute – call Legacy Carpet today.